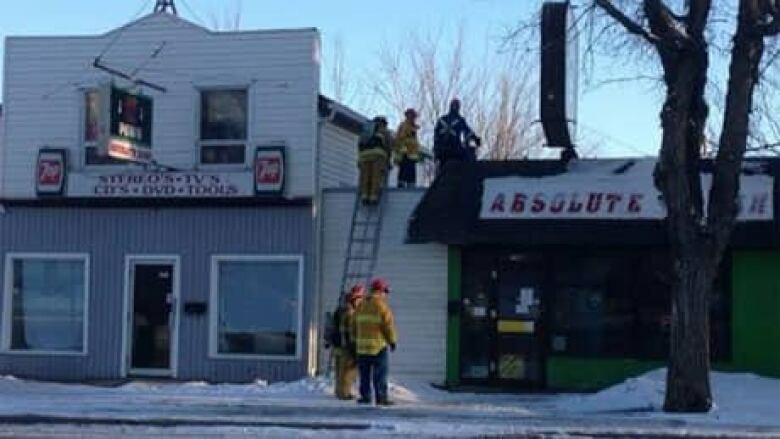 Regina emergency crews say another roof collapsed in the city Monday morning. 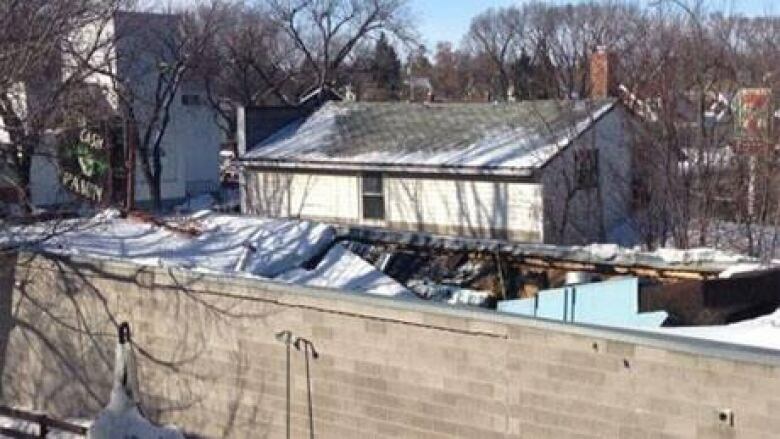 Regina emergency crews were out at another roof collapse Monday morning — the fourth in the past two weeks. This one happened just before 7 a.m. CST at Absolute Cash and Pawn, a pawn shop in the 2900 block of Dewdney Ave. in the city's North Central area. Officials at the scene said the collapse may have happened because of snow buildup on the roof. Inside the store, a large section of the roof had fallen through the building to the floor. A shovel was found on the roof, according to firefighters, suggesting that someone had tried to clear it off. There was a natural gas leak during the first few minutes after the collapse, but crews quickly turned off the gas. No one was in the store when it happened and there was no sign that anyone was hurt. Firefighters knocked out a front window and made their way past security bars to gain access to the building, and then climbed on the roof of an adjacent building to get a closer look. Regina has experienced a series of snow-related roof collapses in recent days, but no one has been injured. The city has just come out of the snowiest winter on record, and many roofs still have more than 20 centimetres of snow showing.